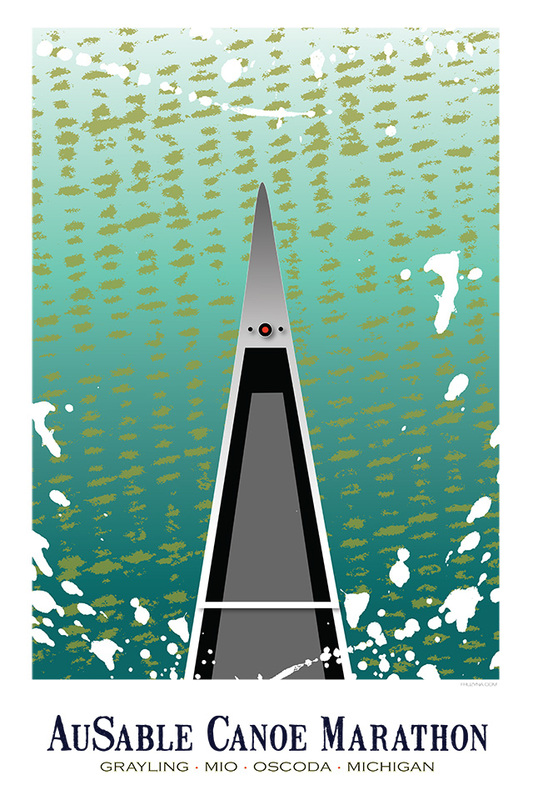 One of our acclaimed artists, Frank Fruzyna, has designed a spectacular Commerative Print for the AuSable Canoe Marathon. Autographed prints available for $45.00, framed at $150.00. 4" x 5.25" note cards and envelopes available for $3.00 each.